The Chevalier of the Legion d'honneur France Coach Didier Deschamps created history lifting the 2018 FIFA World Cup in Russia on the 15th of July 2018 defeating the Croatian’s team 4–2. 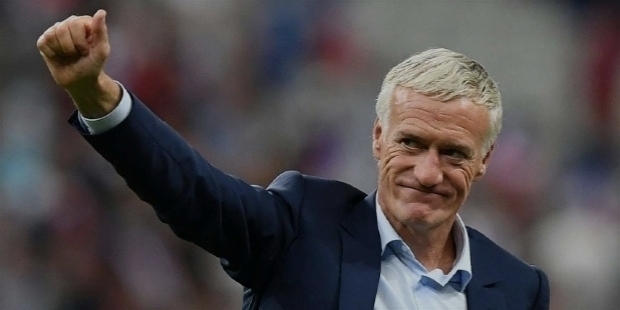 Deschamps goes down in history as the third man to lift the trophy as the Captain of France 1998 World Cup team and as the Coach of France in 2018. Brazil’s Mario Zagallo and Germany’s Franz Backenbauer were the only players, who had lifted the World Cup as a player and Coach of their respective National team. Mario Zagallo won the World Cup in 1958 and 1962 as a player. In 1970, he was Brazil’s Manager to lift the World Cup. On the other hand, Franz Backenbauer won the trophy in 1974 as a player. He coached the National team to lift the World Cup in 1990. 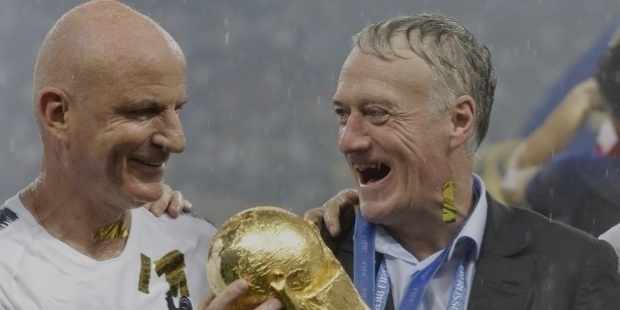 In a span of 20 years, Didier Deschamps has shown the world, how to achieve World Cup success. He has done a magnificent job to train his young team to take on the giants of the world. Way back in 1998, Deschamps was the Captain of the French team, who defeated Brazil 3–0 in the final for the first World Cup. Deschamps’ boys did not disappoint their Coach, when they dominated the final in Moscow to defeat Croatia 4–2 to lift the coveted trophy. 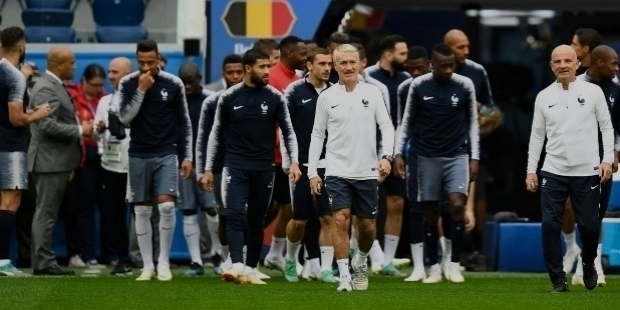 When the final whistle of the World Cup final was blown by the referee, Didier Deschamps galloped towards his amazing men on the field. He sank into the ground as cameras captured his face filled with emotions of joy, soaked in few beads of tears dripping down his cheeks. 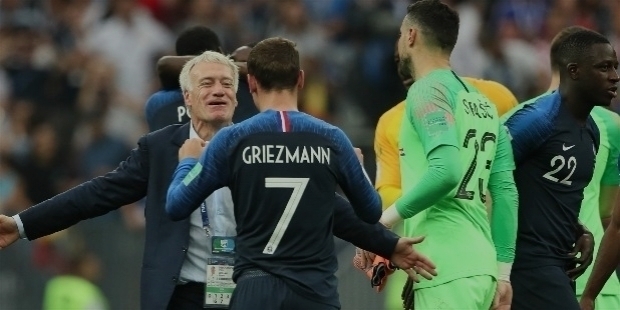 Quickly, Deschamps wiped his tears of joy and embraced his players. Even in such an overwhelming moment, he did not forget to commiserate his Croatian counterpart Zlatko Dalic with a tight embrace and pat on the shoulders. Didier Deschamps stands vindicated, on his steadfast refusal to bend his ways, on his unwavering philosophy of the game. His strong belief instilled faith in the young team, who showed great courage, character and skills to win game after game. Deschamps thanks Eric Cantona for all the criticism, before he took over the National side as the Coach in 2012 before the World Cup. Cantona had called him names and criticized Deschamps’s intrinsically pragmatic style. 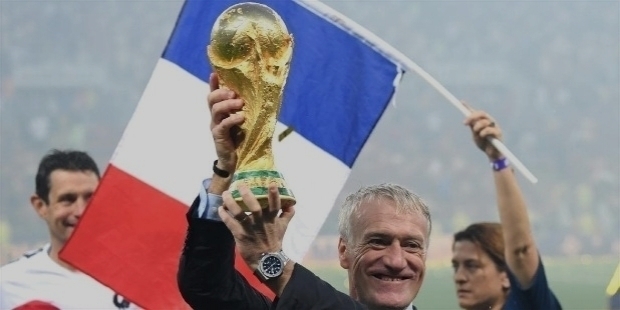 By winning the World Cup, Deschamps has shown Cantona, who is greater in character and deeds. France was struggling as a team and morality crisis was becoming a major issue for the downfall. Deschamps was strict and effective to clean the National Team. He was very brave to weed out Hatem Ben Arfa, Samir Nasri, Jeremy Menez, Frank Ribery and Dmitri Payet for not being fit to his moral standards and values to shape up a better team with bigger dreams to win the World Cup. Deschamps found ways to forge team bonding and encouraged them to play cards. Playing cards made players to bond well, because each one would always think, plot and try to out-think the other. Instead of allowing smart phones to dominate player’s idle time, Deschamps made them read autobiographies of great legendary footballers like Alex Fergusan, Phil Jackson and likes. He recalibrated the young minds of the players to eye for the bigger picture of winning the World Cup. “To win the popularity of a dressing room is not easy, but what you can do is to stand firm by your convictions. Often, I have seen that a disturbed player is a baggage. In that situation, it’s better to play a less-gifted but committed player. 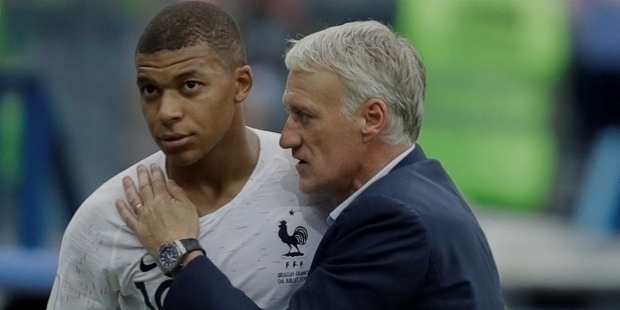 I don’t deal in sentiments,” Deschamps had stated earlier. He knew French players were traditionally headstrong, even narcissists. However, he knew how to work around them. His players have strong faith in his tactical decisions. Deschamps understands the man behind each player to hone their skills for the team’s success. Whenever a player shows reluctance to embrace fresh responsibilities, Deschamps introduces young players in their place. “The key thing is to know how to adapt. Adapting to the group that you have at your disposal; adapting to the place where you are working; adapting to the local environment. Adaptability is crucial,” he stated while training his World Cup winning squad. In the semifinal, France triumphed over Belgium 1–0 in an intense match. It was Samuel Umtiti’s header, which put France on the lead. With England eliminated in the other semifinal, France would meet Croatia in the final. “I am very happy for my players! We showed character and the right mentality, it was very hard for us tonight. We worked hard defensively. We had to take advantage a bit more in the counter attacks. But, congratulations to my players and my staff! I feel very proud for my group,” Deschamps stated after the win. Didier Claude Deschamps was born on the 15th of October 1968. As a defensive midfielder, Deschamps has played for several Clubs, in France, Italy, England and Spain. Prominent Clubs among them were Marseille, Juventus, Chelsea, Valencia, Nantes and Bordeaux. Deschamps was an intelligent and hard-working defensive midfielder. He excelled at winning back possession and subsequently starting attacking plays. Deschamps also stood out for his leadership throughout his career. As a French international, he was capped on 103 occasions and took part at three UEFA European Football Championships and one FIFA World Cup. 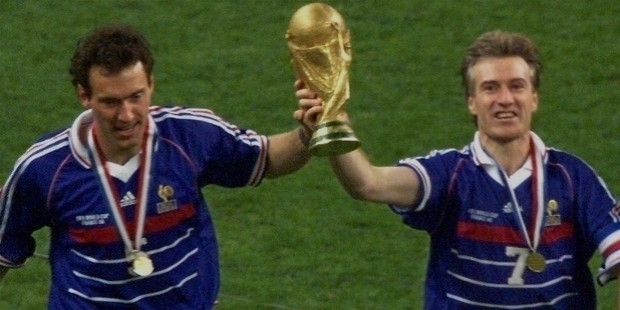 He captained the French team to victories in the 1998 World Cup and Euro 2000. 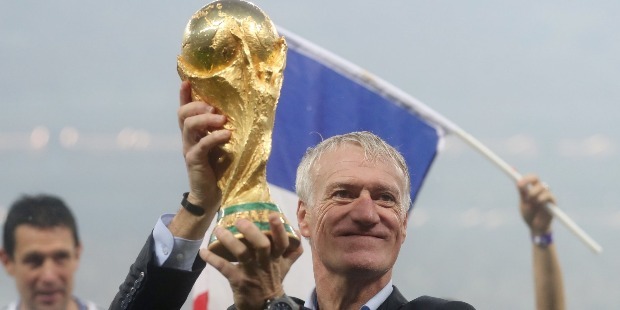 After Franz Beckenbauer and followed by Iker Casillas, Didier Deschamps is the only second Captain in the history of football to have lifted the Champions League trophy, the World Cup trophy and the European Championship trophy. Deschamps began his career as a Manager / Coach with Monaco. Under his leadership, Monaco won the ‘Coupe de la Ligue’ in 2003. The Club also reached the 2004 UEFA Champions League Final. In 2004, Deschamps was named ‘Ligue 1 Manager of the Year’. On the 8th of July 2012, Didier Deschamps was named as the new Manager of the French National team. 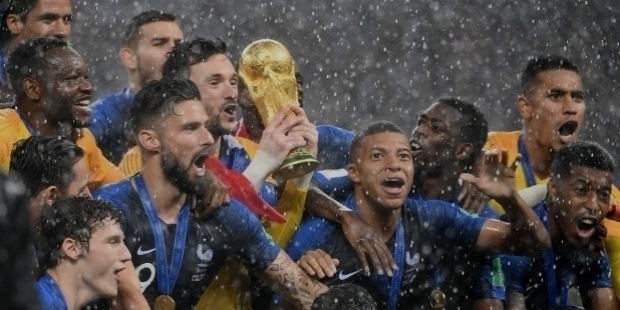 He led the team to the quarter-finals of the 2014 FIFA World Cup, the final of UEFA Euro 2016 and won the final of 2018 FIFA World Cup to make France the World Champions. Didier Deschamps began his international career during the dark times of the French team. Michel Platini called Deschamps on the 29th of April 1989 against Yugoslavia. In 1996, he led the French team as the Captain for the very first time against a friendly match against Germany. He led his team all the way to the semifinals in Euro 96. 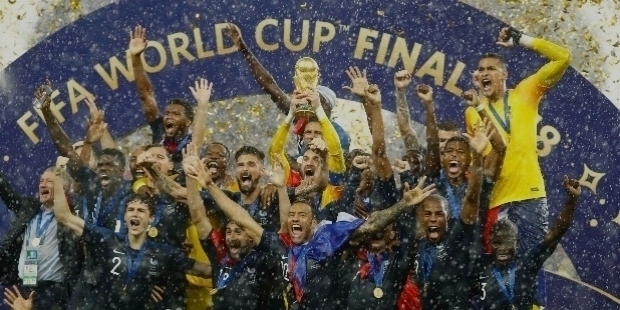 It was France’s best finish since 1986 World Cup. Two years later, as the Captain of the French side, Deschamps won the 1998 FIFA World Cup on the home soil with his team. Propelled by the momentum, Deschamps led as the Captain to win Euro 2000. 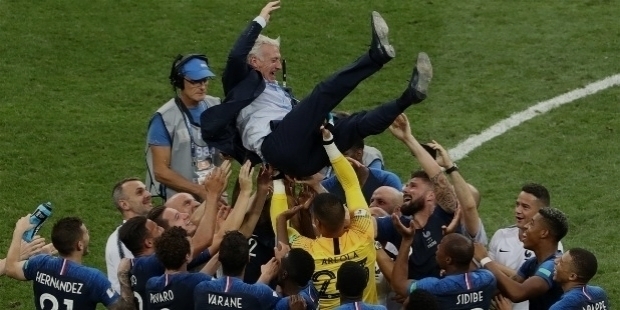 Under his leadership, Deschamps’s team achieved the distinction of being the first National team to hold both the World Cup and Euro titles, since West Germany did so in 1974. The feat was later emulated and surpassed by the Spanish National football team in 2008-2012. His second last appearance was a ceremonial match against FIFA XI in August 2000. France won 5–1. He played his last match against England. Deschamps announced his retirement from international football in 2000. Deschamps earned 103 Caps and scored 4 goals for France. Legendary Brazilian footballer Pele named Didier Deschamps as one of the ‘Top 125 Greatest Living Footballers’ in March 2004. 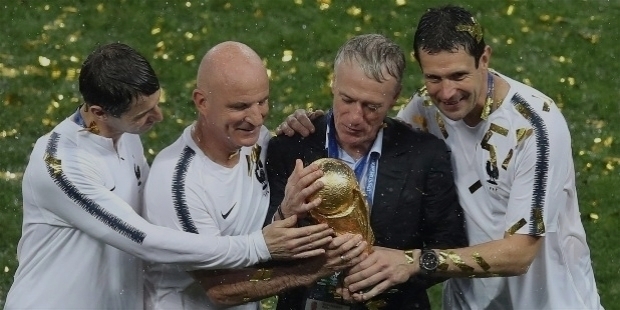 After the 2018 FIFA WORLD CUP win, Didier Deschamps is the most loved and revered individual for the whole of France! He has achieved such great success in life, because of his moral values and strong belief.